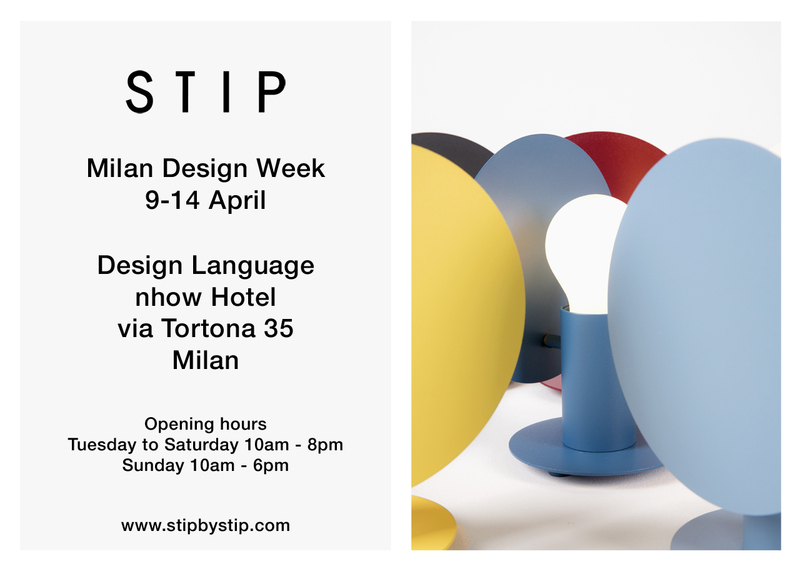 We are very happy to announce that STIP is back for this year’s edition of the Milan Design Week and will be taking part in the Outspoken Design Language trade exhibition at the nhow Hotel, in the heart of Zona Tortona. From 9 to 14 April 2019, STIP will be inviting the audience into its universe of harmoniousness, versatility and sophistication, with new products affirming its original and essential creative language and sustainable approach. Come by to discover our collection that has been enriched to include new offerings that supplement the family of Angel lamps with Angel Table lamp, a perky and informal lamp in a range of 9 striking colours. The catalogue has also been supplemented with the Leo system of tables, a project which consolidates our commitment to versatility. Leo is perfectly suited for indoor and outdoor use and is available in a large variety of dimensions and finishes, with the exclusive use of 100% recycled materials including innovative panels made from recycled paper. A selection of STIP’s lamps will also be lighting up Karimoku New Standard’s products and will be on display at the exhibitions organised by the eminent Japanese furniture brand to celebrate its tenth anniversary.